The holiday season brings upon a flurry of baking in my house. 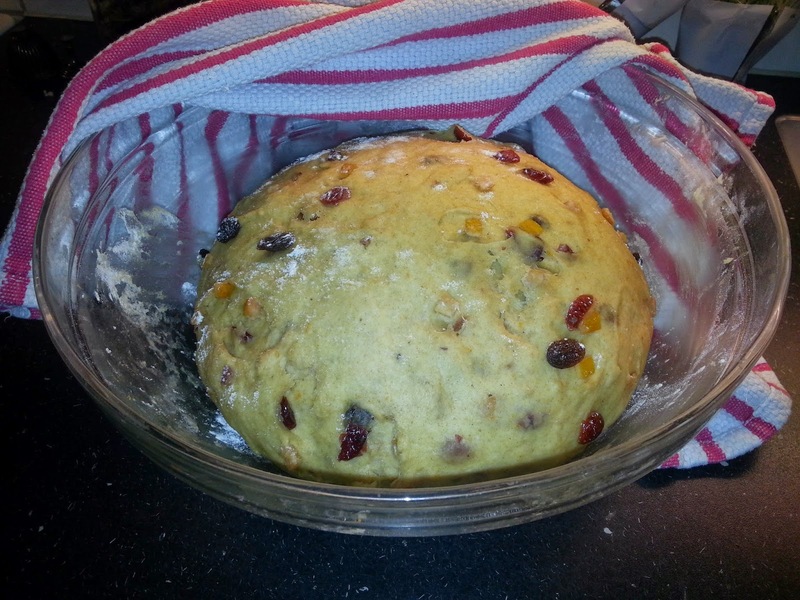 This year, I was inspired by a recipe in the Wall Street Journal to make a Christmas Stollen, which a German sweet bread studded with rum soaked fruit. 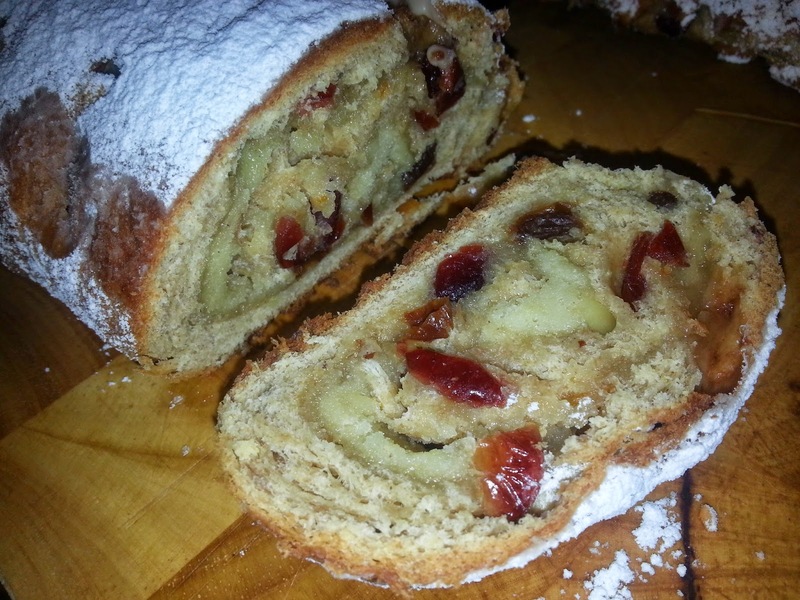 Perusing different recipes for stollen, I came across one on the BBC which incorporated a swirl of marzipan. 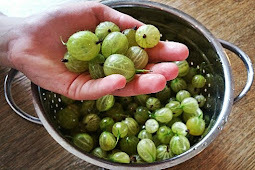 In order to get the correct proportions of yeast and flour, I had to find a Swedish recipe which was adapted to the live yeast that you can buy here. Collating and cross referencing these different recipes took a bit of time, with the result that it took me almost all day, even with the dilligent help of Gustaf, to bake these loaves. Then, distracted by making dinner, I messed up on the final baking of the loaves, baking them at too high a heat, an error I did not notice until I checked on the loaves about half way through the cooking time and saw that they were already quite brown on top. I had to take my loaves out in order for them not to burn, with the sad result that the center of the loaf is a tiny bit gooey and underdone. Peter assures me that it tastes better that way but he is a guy that steals raw dough as I am making it. While the final result is a bit dissapointing to me, the flavor is excellent and I can see that it would have been perfect if not for that too high temperature. But now you are forewarned, so yours will perfect. I promise. The night before you want to make the bread, mix the raisins, orange peel, and dried fruit together and add the rum, mixing it all together. Let the mixture stand overnight to absorb the rum, stirring occasionally if you can be bothered. When you are ready to begin the bread, strain the fruit, reserving the residual rum to brush onto the bread after baking. Make the starter by crumbling the yeast into a large bowl. Warm your milk in a small pan on the stove to about 100 degrees F, slightly warm to your finger. Be careful not to warm to much because you will kill your yeast. Stir the warm milk into the bowl with yeast until the yeast is fully dissolved. Add 2 dl flour, mix well and allow the starter to stand for half an hour, after which the yeast will have puffed up the mixture. Into the bowl with the starter, add 5 dl of bread flour, sugar, salt, nutmeg, cloves and zest of either one lemon or orange. Stir the ingredients together, to form a stiff dough. Add about one quarter of the softened butter, alternating with a decilitre of all purpose flour. Knead with your hands, in the bowl, until the butter and flour are incorporated, and then add more butter. Continue until all the butter is incorporated and you have a nice dough that is still soft but not too sticky. You should have used about three to four deciliters of the all purpose flour. Turn the dough out onto a generously floured board and knead for at least 15 minutes until the dough is elastic and smooth. During this kneading process, incorporate a further decilitre or two of flour. Once the dough is fully kneaded, spread it out a bit on your board, sprinkle with some all-purpose flour, and pour over about half of your dried fruit. Draw the dough over the fruit and knead together, addingmore flour when the dough gets sticky. When the fruit is incorporated, repeat the procedure with the remaining fruit. Finally, add in the slivered almonds. Shape the dough into a neat ball and put into a bowl and cover with a towel to rise for about an hour until the dough doubles in size. At this point, you can also put the dough in the refrigerator and let it rise more slowly overnight, if you prefer, in order for you to bake it the morning. A slower yeasting brings out more complex flavors in the bread, and is commonly used among artisan breadmakers to get a finer more flavorful bread. However, in this case, the bread is so highly flavoured with spices and other ingredients, that it seems to me the subtle flavour differences brought upon by a slow yeasting are irrelevant. However, you still may want to use the slower yeasting to adjust the timing of baking your bread to fit your schedule. For the marzipan swirl, take each half of the dough and roll out, using a rolling pin, to a rectangle. Take half of the marzipan (200 grams) and roll out to a rectangle, slightly smaller than the dough. Use powdered sugar to keep the marzipan from sticking to your board. 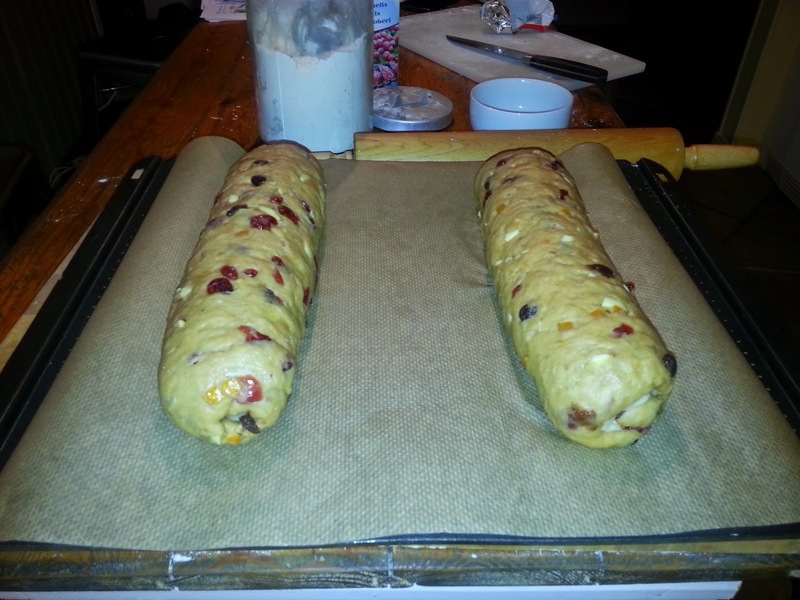 Put the marzipan on the dough and roll up the dough on the long side of the rectangle. Pinch the ends shut and pinch the dough to seal it on the edge, making sure there is no marzipan sticking out. Place the roll on a baking sheet covered in parchment paper. Repeat for the second piece of dough. If you prefer not to have the marzipan in the dough, then simply shape each ball of dough into a long loaf shape. Cover with a towel and let the bread rise for the second time, for about an hour or until the loaves double in size. Bake in a 180 degree Celsius (350 degree F) oven for 35 to 45 minutes until the loaves are brown. Do not be tempted to raise the temperature to get a faster bake because the sugar in the dough will make the loaves brown too quickly, while the inside will remain uncooked. When the loaves have cooled but are still warm, brush the loaves with the leftover rum from soaking the fruit. Then brush with melted butter and sprinkle liberally with powdered sugar. When the cake is cooled, you can sprinkle some more powdered sugar over, if you like, to make a more even “white” surface. Cut into slices to serve.